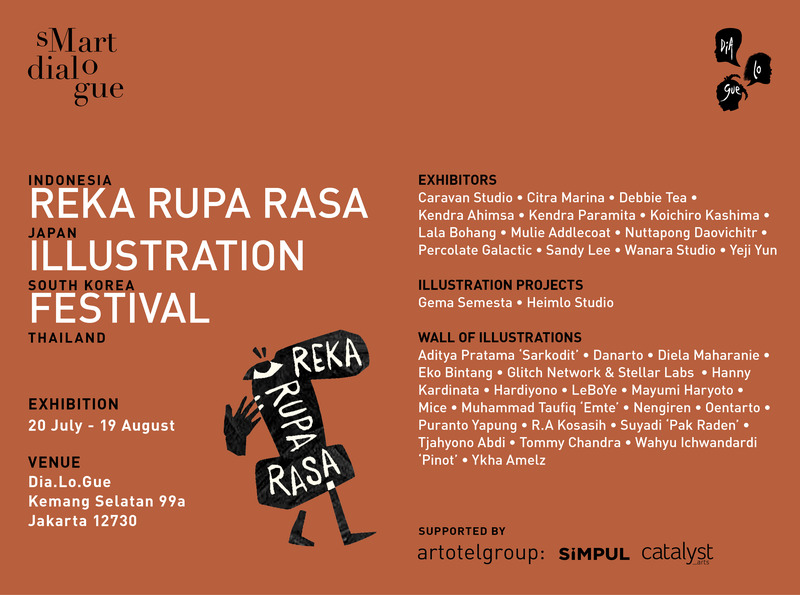 We welcome you to celebrate the first ever Reka Rupa Rasa: an Asian Illustration Festival. Immerse yourself in the richness in the world of illustration, experience our shared value of visual language. Seek tons of exciting programs and have the most imaginative weekend! 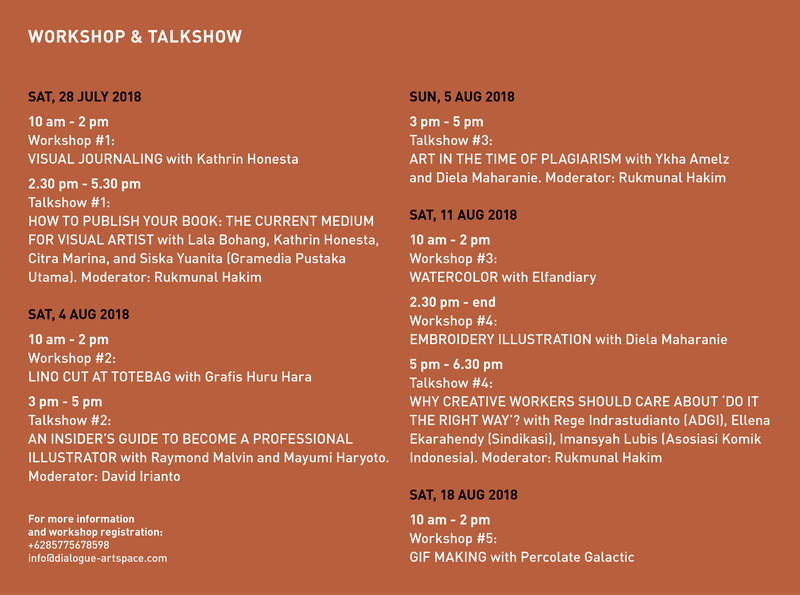 We present a curated exhibition of illustration by 13 illustrators across field of discipline, 10 of Indonesia’s top illustrators will showcase their works as the host to our 3 international friends from South Korea, Japan, Thailand, and 2 illustrators of projects on site. 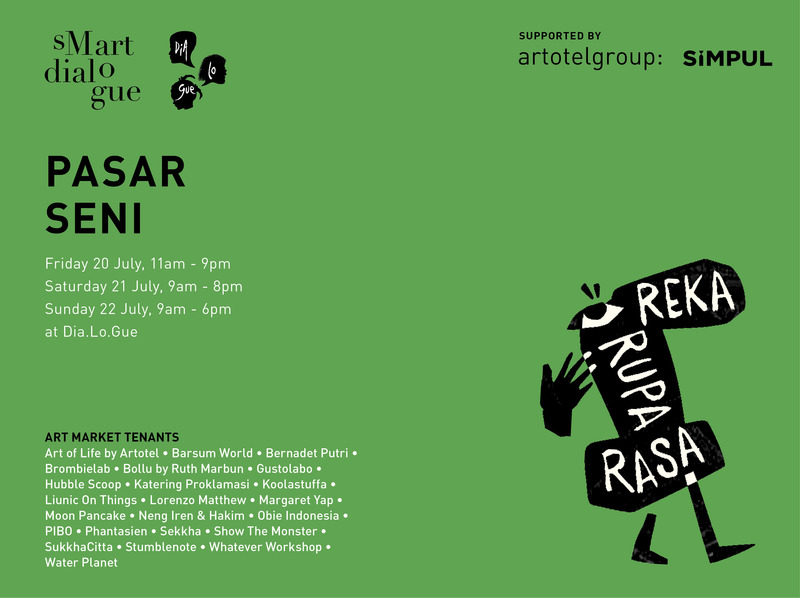 You can also explore various creative products and experience the art market that features 20+ makers; get involved in the doodle wall, see Indonesia’s iconic illustration at the Wall of Illustrator, the journey of illustration so far, experiential mural, alongside live music performance, workshops; talkshows, and more—all by our illustrators! In this era of digital revolution, graphic design works have been saturated into society—that people take it for granted as mundane objects in life. In modern Indonesia, where the every day article of life is often sublimated, rarely do we care into pausing and celebrating the ordinary—which is where the danger lies, for visual objects are transient, their aura is fleeting, forgotten once disregarded. So, once in a while, why don’t we celebrate graphic design? In an era in which the eye became the most important human sense, illustration have evolved very quickly—illustrators multiplied in numbers and gained mass attention and appreciation. But behind its function as merely ‘like’ and ‘share’ generator, it is important to remember the long history of illustration. 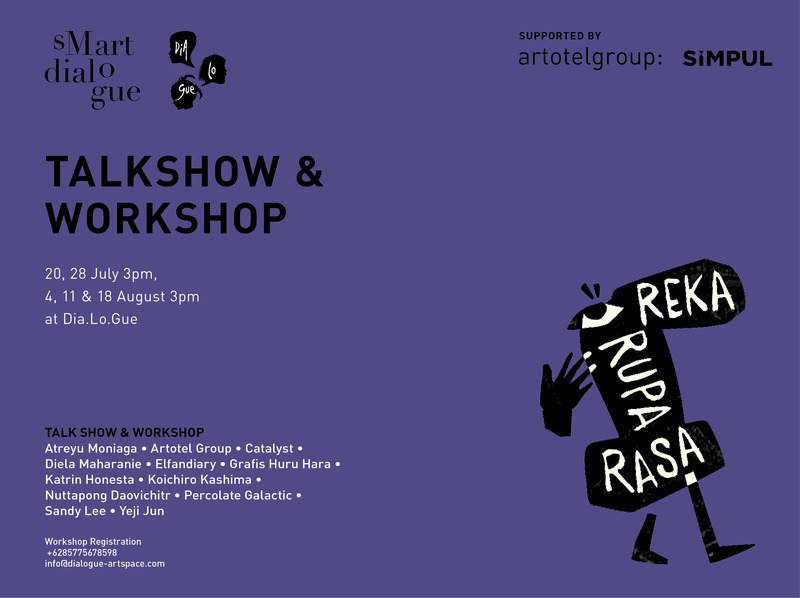 This exhibition aims to showcase the richness of illustrative form by displaying the process of thinking and aesthetic experimentation, conveying a common message that can be understood by most people. So, come and celebrate the imaginative world of illustration (and of course share it if you may)!